Just Peachy Mocktail is a perfect balance of flavours and textures. Refreshing, light and quite addictive; one is never enough. Peach puree can be quite intense, however the addition of lemon juice moderates and balances the whole ensemble; topped up with Pineapple the Mocktail is complete. Served in either a Slim Jim Cocktail glass or a Tall Cooler glass, this is a great Mocktail. In a chilled glass add the Peach Puree then lemon. 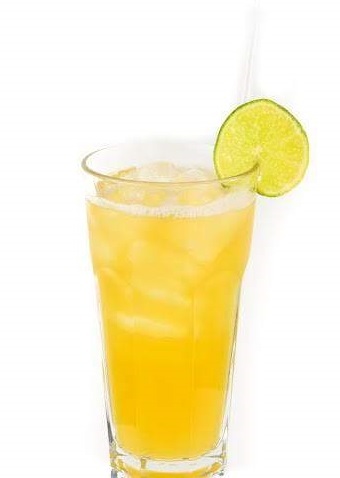 Top-up with the Pineapple juice stir and add a few more ice cubes if desired.